21st-century knowledge workers and leaders are paid to think, plan, communicate, and execute with excellence. Overwhelming distractions, multiple projects that never end, and the inability to communicate well can make anyone feel useless, voiceless, and disengaged. The mindsets, skillsets, and toolsets of the Productivity Suite work together, enabling knowledge workers and leaders to perform at their peak every day. Are you feeling buried alive? Methodically invest valuable time, attention, and energy on the highest priorities. Complete projects on time, on budget and with the highest quality. Powerfully inform and persuade one person or one hundred, face-to-face or virtually. 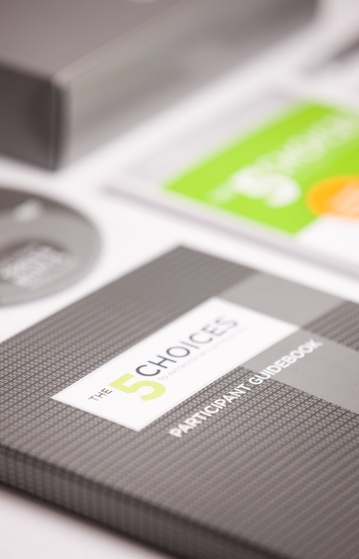 The 5 Choices became an integral part of training at Microsoft. Halton uses The 5 Choices to create a common language, increase productivity and spend time on the important, rather than the urgent. Want to try the 5 Choices? Kory Kogon explains the process of The 5 Choices and how it can help your organization. Learn to make high-value decisions using the 21st century time management skills of decision, attention, and energy management, combined with powerful planning processes. Learn a four-step process for skillfully managing projects, large or small. This proven approach helps project managers and their teams craft and deliver high-quality projects on time and within budget. Discover how to craft presentations around essential objectives, present key concepts and ideas with power and enthusiasm, and design and present effective visuals. The FranklinCovey Writing Advantage workshop teaches how to set quality writing standards that help your employees increase productivity, resolve issues, avoid errors, and heighten credibility. The FranklinCovey Technical Writing Advantage workshop teaches individuals how to take complex ideas and make them understandable and memorable in written form. The FranklinCovey Meeting Advantage workshop teaches how to plan effectively by frontloading before a meeting, focusing productively during the meeting, and following through successfully after the meeting. By actually "championing" diversity, you can unleash the power of your employees. From this foundation of collaboration and understanding, innovation and trust will flow through your workforce, driving your organization toward otherwise unachievable results. FOCUS: Achieving Your Highest Priorities™ workshop presents powerful principles that help participants identify and clarify their values, set goals, and plan weekly and daily in order to accomplish what counts. The FranklinCovey LiveClicks™ Webinar Workshop, Time Management for Microsoft Outlook: Powered by The 5 Choices to Extraordinary Productivity helps participants stop and start prioritizing tasks, messages, and appointments to achieve what is most important to the organization and themselves. Now you can support your employees as whole people with FranklinCovey's Rethinking Stress workshop. Participants specifically learn to help themselves by understanding stress and its debilitating impact.